Today teachers and students from the K8 experienced the Community Creative Center's Wheel Mobile! 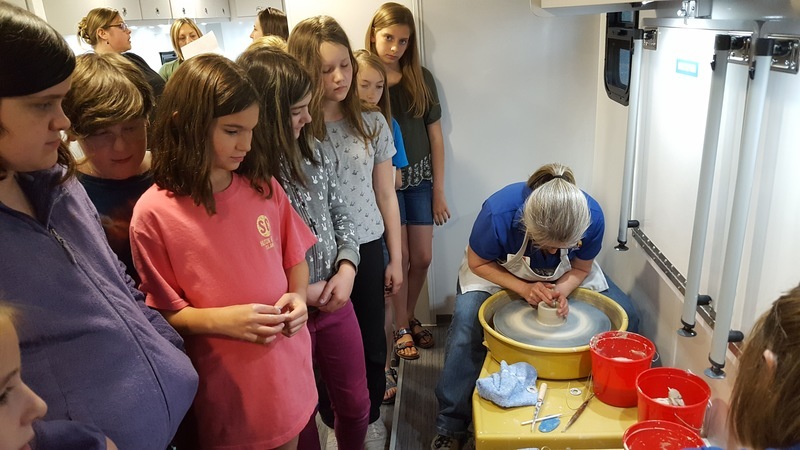 The Wheel Mobile is a custom-designed Winnebago equipped with 9 potter’s wheels, art supplies and clean-up facilities developed to offer potter’s wheel classes and art workshops for adults and students of all ages. With its on-board generator and water supply, it can travel and deliver art services anywhere – schools, town squares, youth centers –requiring only a flat parking space. 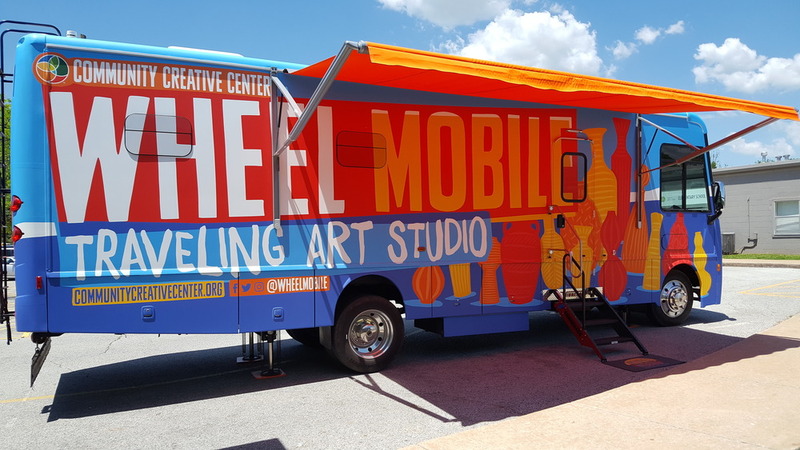 The Wheel Mobile will visit AAA and other schools throughout Northwest Arkansas to offer arts education programs and enhance classroom learning.